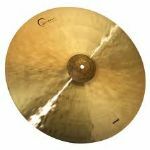 The ENERGY series offers a modern sound palette in a hand hammered cymbal. This bright, hard-hitting line meets the needs of anyone playing primarily in an amplified setting who is looking for a loud, bright, and penetrating quality that will cut through the sound of the rest of the band and deliver the energy of the drummer right to the audience. Unique to the ENERGY line, the bell is left un-lathed focusing the weight of the cymbal in and around its center. 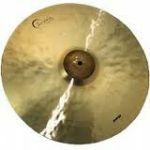 This results in a cymbal that has a slightly exotic timbre with all the sound qualities that a rock or metal drummer is listening for combined with a raw, unrefined look. 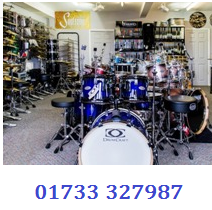 ENERGY cymbals are also excellent recording cymbals that will have you sounding great in the studio. Wash: extreme power, broad dynamic range, full bodied.